After the onset of hostilities in Europe, but before the US’s entry into WWII, the most famous movie star of the century launched his most ambitious and controversial project to date-a take-no-prisoners satirical attack on Hitler and Fascism. 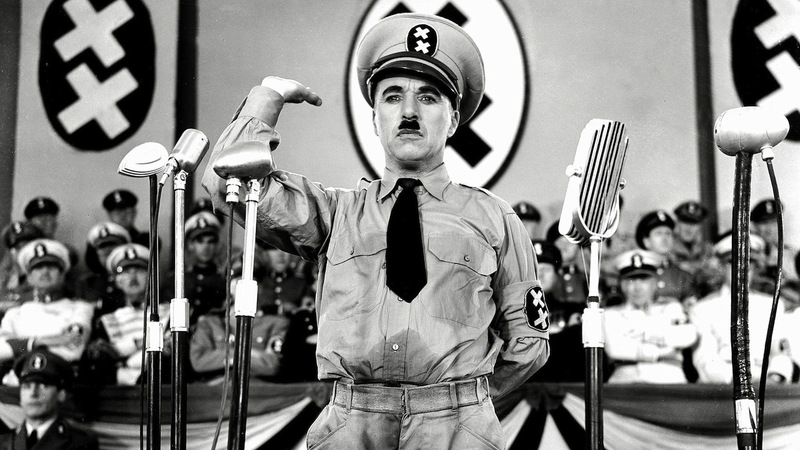 Chaplin produced, wrote, directed and starred in the film, playing both the barely-disguised, buffoonish Tomanian dictator Adenoid Hynkel and an unassuming Jewish barber who’s his spitting image. The cast is rounded out by Jack Oakie, peerlessly lampooning Mussolini, and Paulette Goddard, Chaplin’s muse, as an innocent young woman threatened by the tyrant’s anti-Semitism. "Brilliant... still has the power to inspire chills almost 70 years later."